Керкинитида Евпатория история с древних времен, до наших дней Отдых и лечение в Евпатории » О Крыме - More about the Crimea. » The Scythians portrets. 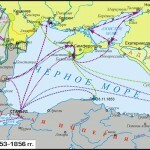 Nomadic Scythians tribes raced across the Crimean’s steppe in 8th- 4th century BC. Scythians tribes left a lot of historical monuments called “kurgany” – Scythian graves. 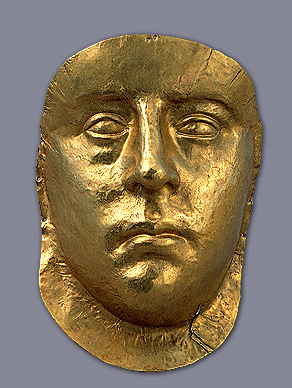 In the Black Sea steppes and now you can meet a lot of stone idols, guarding the silence of Scythian burial mounds, and guarding the gold of the Scythian’s kings. An ancient Scythian burial tumulus named kurgan-Kul-Oba located in eastern Crimea near Kerch, on the right side of the M25 road to Feodosiya. The first Scythian burial tumulus Kul-Oba was excavated in 1830. The stone tomb was built around 400 to 350 BC and it was full of a wealth and precious artifacts which drew vivid public interest to the Scythian Art. 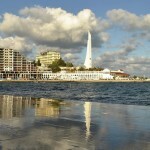 The tomb was built nearly in a square form (4.6 meters by 4.2 meters and 5.3 meters high). The timber ceiling imitated the form of a Scythian tent and was decorated with gold plaques. 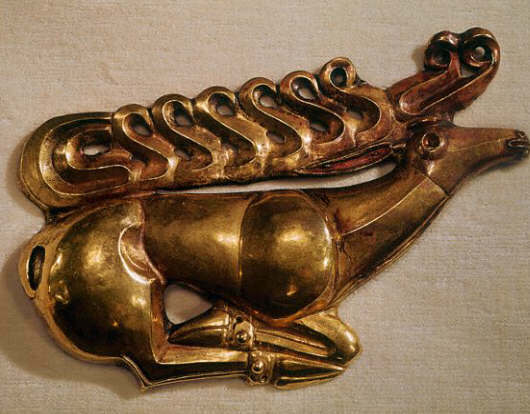 The body of the Scythian king laid close to the east wall, his head was decorated by a diadem, a large gold disk weighing 461 grams was on his neck. 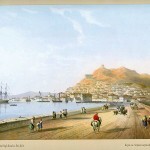 Numerous bracelets adorned his wrists. At the separate section there were the other grave goods, including a kylix (a type of wine-drinking glass), a knife, a whip, and a quiver — all inlaid with gold. Left to the couch there was the king’s wife at a cypress wood and ivory sarcophagus. 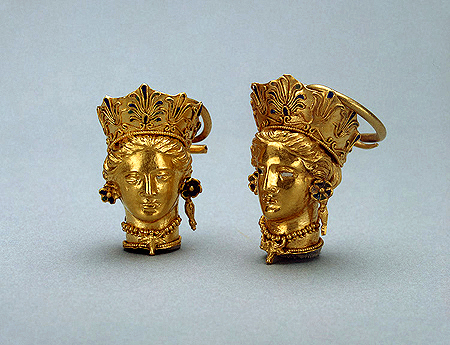 The Scythian queen was in a brocaded dress, her head was decorated by an electrum diadem with large gold pendants, a pair of open-work earrings, a gold necklace and two large golden bracelets. There was a bronze hand-held mirror with the gilded handle and an electrum cup depicts scenes from Scythian mythology near her. There was a special niche in the wall contained horse (bones were found), a helmet, a bronze sheath, and two spearheads. There were several silver bowls and bronze cauldrons containing lamb bones and some amphorae with traces of dried wine were placed along the walls of the tomb. A lot of bronze arrow-heads were scattered around the floor. tomb, though it was plundered by treasure hunters. 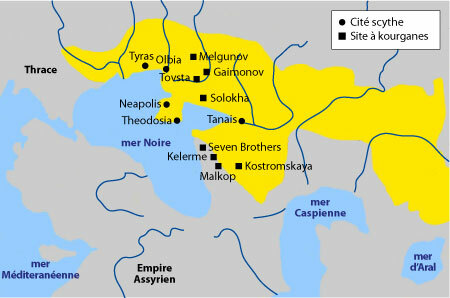 One of the famous Ukrainian archaeologist from Kiev, Boris Mozolevsky, in 1971 discovered Gaymanov-kurgan and Chertomlyk-kurgan, near Nikopol. 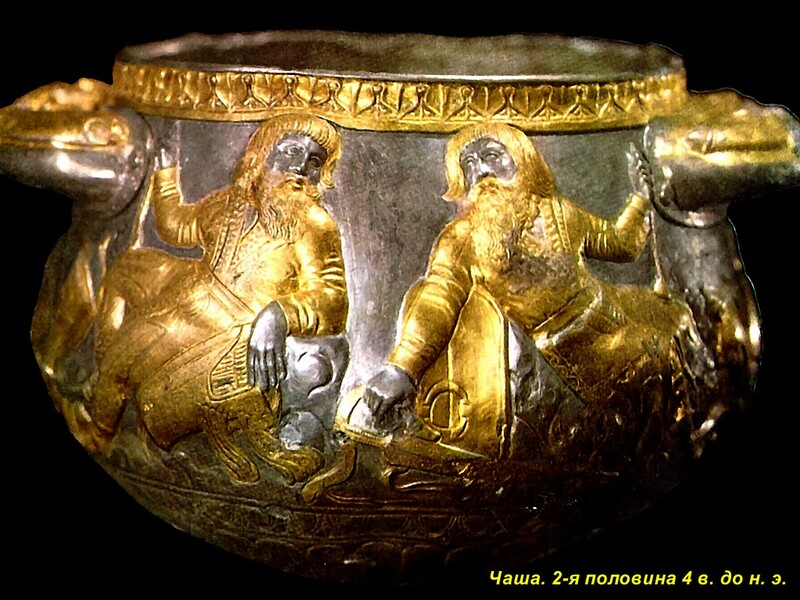 Both were full of Scythian’s king gold and treasures. 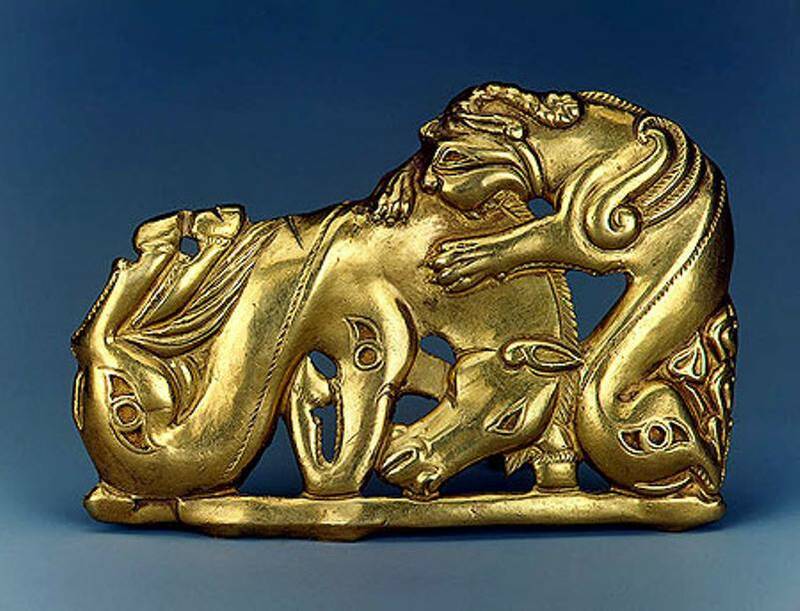 Archaeologists discovered the common Scythians’ art traditions in decoration, named “animal style”. 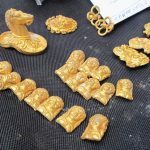 Animal style art is characterized by its emphasis on animal and bird in a very plastic forms of moving, running, fighting, jumping, struggling motifs was used to decorate small objects, vase, bracelets, cups. 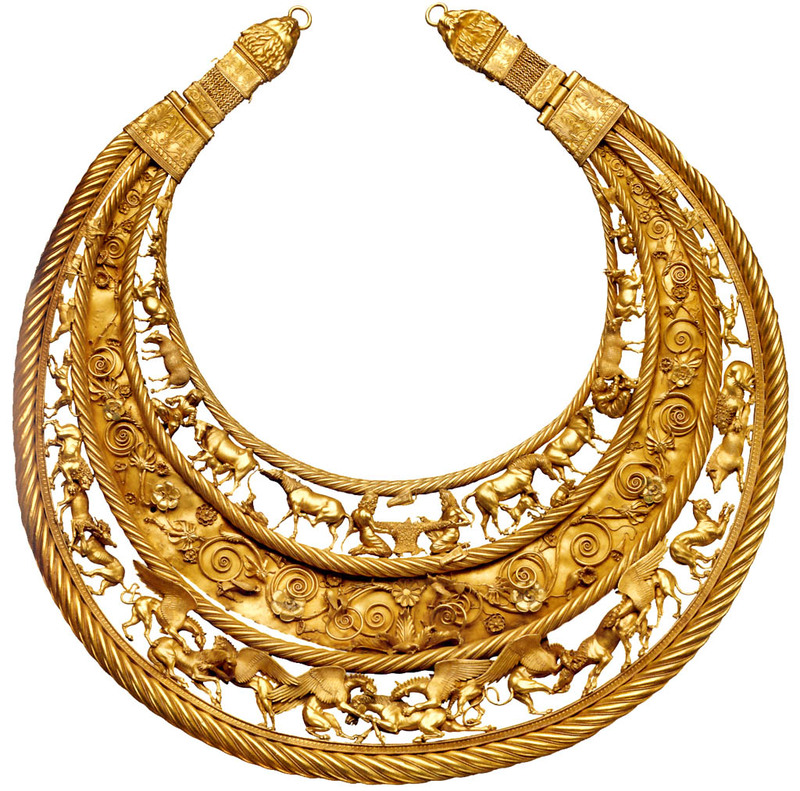 The Scythians’ Animal Style was used in a wide variety of materials such as gold, bronze, silver, iron, wood, electrum, leather, bone. 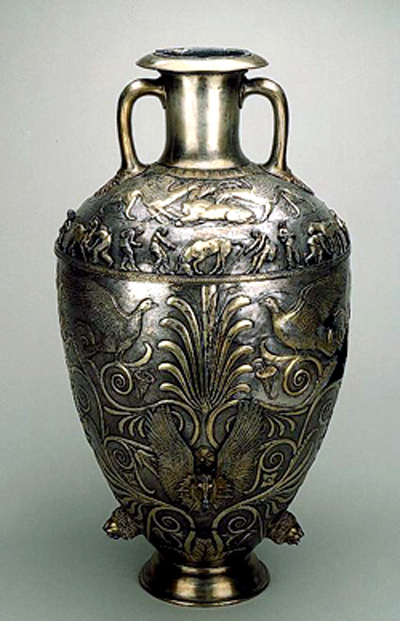 In the later period many objects, especially in metal, were produced by Greek craftsmen who had adapted to the tastes and subject-matter of the wealthy Scythian market. « Гаплогруппа R1a, ее Субклады и ветви в Европе за последние 9000 лет.